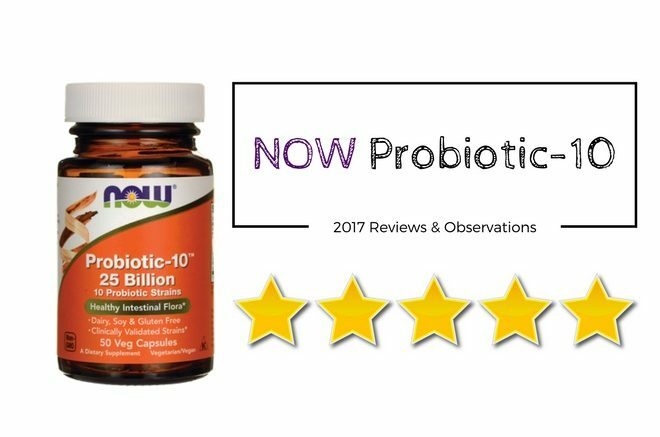 Overall, NOW Probiotic-10 scores a rather impressive 4/5 stars, which places it as an above average probiotic supplement. But, because Probiotic-10 should be employed only in instances of specific ailments (such as diarrhea, constipation, irregular bowel movements, etc.) and not necessarily on a day-to-day basis, this CFUs count actually becomes highly beneficial to your health over shorter periods of time. Secondly, Probiotic-10 constitutes a very allergen-friendly product. The label explicitly states that this supplement was ‘not manufactured with wheat, gluten, soy, milk, egg, fish, shellfish or tree nut ingredients’, which is clearly an attribute in favor of Probiotic-10. Nowadays, it is really important to have a product which is as ‘pure’ as possible in terms of allergy concerns and other problematic ingredients because they can drastically restrict the number of potential buyers and hence negatively influence the dietary enhancer’s general quality. Aside from not being the cause of any allergies, Probiotic-10 can actually help you manage them. Probiotics are renowned for both their digestive and immune action on the human organism, so it is no wonder you will benefit from less unwanted side effects (like a stuffy nose or constant sneezing, for instance) and shorter allergenic episodes when using a proper probiotic supplement. Another good thing about Probiotic-10 is that the live microorganisms are guaranteed to be viable until the date printed on the bottle (if kept in proper conditions, of course). Most other producers only guarantee their probiotic components until the moment of manufacturing, so Probiotic-10 does have a big plus in this department. Nevertheless, Probiotic-10 did exhibit some negative aspects as well, the first of which being the constant need for refrigeration. While most other similar probiotic have a built-in protection system for their probiotic colonies – in the capsule, packaging format or both – the presently reviewed product does require a certain temperature frame in order for the active microorganisms to stay alive and beneficial for the body. On the other hand, whether the product is kept cool during storage and transportation is always questionable, so this aspect does put a question mark over the supplement’s actual probiotic viability. The Probiotic-10 label also advises taking the 1-2 capsules for each day either on an empty stomach or between meals, which is slightly different from the administration format of other similar probiotics (which recommends taking the respective dosage with a meal). Although not so big of a disadvantage, this particular pattern of usage might cause side effects for those with sensitive stomachs, so be cautious in this aspect. All in all, Probiotic-10 represents a very safe and appealing probiotic supplement that receives a 4/5 stars total rating. Among its positive aspects, we can include its 25 billion CFUs potency, allergen-friendly composition, and positive immune function. What prevents Probiotic-10 from obtaining a higher score is the need for refrigeration during usage and the slightly different administration format. Even so, this probiotic supplement remains a good quality product which can be used both as a specific ailment in the case of intestinal imbalances or with a therapeutic function on a regular basis. Bifidobacterium breve – as a probiotic component, this microorganism has the ability to facilitate digestion and accelerate immune functions, as well as regulate mood and generate overall wellbeing over time. Stable colonies of Bifidobacterium breve can significantly reduce abdominal discomfort caused by bloating and gas, as well as normalize bowel motility patterns and aid in IBS (irritable bowel syndrome) management. In terms of immune protection, this ‘good’ bacterium can reduce the occurrence of E. coli infections in the gut and that of Candida overgrowths in the vaginal system. Bifidobacterium lactis – represents a Bifidobacterium family member responsible for both immune screening and digestive wellbeing inside the body. Bifidobacterium lactis can also highly contribute to intestinal health by alleviating the symptoms usually associated with imbalances such as ulcerative colitis, celiac disease, and IBS. In addition, this probiotic component has the ability to reduce pathogen overgrowths and promote better immune screenings by suppressing the development of various fungi, viruses, microbes, etc. Bifidobacterium longum – is among the first probiotics to colonize the gastrointestinal system and it actually predominates this environment by up to 90% during infancy. As these numbers decrease over time, external supplementation via fermented foods, dairy products, and supplements becomes necessary in order to maintain digestive and immune effectiveness. Consequently, Bifidobacterium longum is a helpful instrument in keeping cholesterol levels within low readings and accelerating metabolic ratings, as well as even preventing the onset of some types of cancer (for instance, colorectal cancer). Lactobacillus acidophilus – is a natural fermentative and ‘friendly’ bacterium that transforms milk sugars into lactic acid. This substance is then much more easily processed by the gastrointestinal system, hence improving lactose intolerance symptoms (such as abdominal discomfort, gas, bloating, etc.). Other benefits of Lactobacillus acidophilus include improved digestive patterns, enhanced nutrient assimilation at the level of the gut, and boosted immunity protection (for example, against E. coli and other similar pathogen infections). Lactobacillus casei – is a more ‘aggressive’ strain of probiotics in the sense that it will compete with other bacteria (either ‘good’ or ‘bad’) for food and colony distribution. Nevertheless, its temperature and pH resistance translates into a more long-lasting action with regards to improved digestive rhythms, immunity protection, and mood stabilization. Lactobacillus casei also sustains the development of another probiotic organism, namely Lactobacillus acidophilus, the two of them promoting better lactose tolerance and improved microflora recovery after long antibiotic treatments. Lactobacillus paracasei – this probiotic naturally exhibits elevated resistance to bile and pH variations, a quality which enables it to both maintain healthy colonies inside the gut and promote internal wellbeing for extended periods of time. Additionally, Lactobacillus paracasei is responsible with correct digestion (fewer and shorter episodes of diarrhea), enhanced immunity (intense pathogen screening), and mood regulation (combating chronic fatigue syndrome). Lactobacillus plantarum – is a ‘good’ microorganism present in the entire length of the gastrointestinal system, from the oral cavity (the saliva) to the stomach, small intestines, and colon alike. Here, it helps with more efficient food decomposition and facilitated nutrient assimilation on the long run. The beneficial action of Lactobacillus plantarum spreads beyond the gut and includes greatly improved management of lactose intolerance, Crohn’s disease, IBS symptoms, and antibiotic-associated diarrhea. Lactobacillus rhamnosus – not only does this ‘friendly’ bacterium help maintain immune and digestive health within normal readings, but it also extends its antimicrobial properties to the urinary and vaginal systems alike, where it actively combats pathogen infections of various kinds (for example, bacterial vaginosis). Lactobacillus rhamnosus has equally been employed with therapeutic function in alleviating allergenic symptoms, eliminating the occurrence of Enterococcus pathogens in the intestines, and in better managing anxiety episodes. Lactobacillus salivarius – as the name implies, Lactobacillus salivarius is a common presence inside the oral cavity. Here, the probiotic generates both food decomposition and dental hygiene processes, which then lead to improved general health over time. Colonies of this beneficial microorganism can also be found further along the intestinal tract, resulting in improved responses to lactose and shorter diarrhea episodes after antibiotic usage. Streptococcus thermophilus – represents a beneficial bacterium with a particularly increased resistance to temperature variations. Through its highly resistant gut colonies, Streptococcus thermophilus aids in digestive patterns, immunity, and mood stabilization alike. The more outstanding functions of this probiotic are lowered cholesterol levels and reduced symptoms otherwise associated with ulcerative colitis or IBS, for instance. As the label suggests, Probiotic-10 represents a very allergen-friendly product in light of the fact that it is free of gluten, wheat, soy, and dairy traces. Another great aspect is the GMP certification, meaning ‘good manufacturing practice’. This ensures that the supplement was not manufactured under conditions that might result in its contamination with major allergens such as nuts and tree nuts, fish and shellfish, eggs, milk, soy, wheat or gluten. Moreover, the probiotic and capsule blends for Probiotic-10 are based on both a vegetarian and vegan appropriate formula, making this dietary enhancer suitable for a wider variety of lifestyle choices. Aside from the 10 strains of probiotics, this product contains cellulose powder, cellulose (capsule), fructooligosaccharides, ascorbyl palmitate, and silica. Needless to say, all of these constitute advantages for the product because they mean a larger spectrum of potential users and a greater level of satisfaction for them since you don’t have to worry about getting any sort of health issues while using Probiotic-10 in terms of allergies or hidden ingredients. 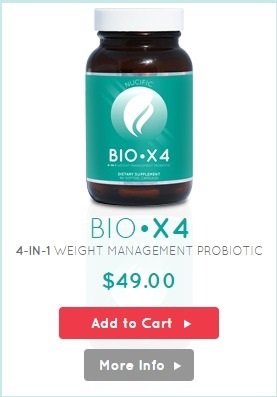 Every bottle containing 50 capsules of Probiotic-10 will cost you $14.96. This means that the price for every individual dosage is that of $0.30. If you decide to take 1 capsule per day of this supplement for digestive maintenance, then you are definitely getting a good deal for your money. Consider the fact that an average probiotic enhancer will generally set you back around 70 cents and you’ll quickly see how Probiotic 10 is not only less than half of that investment, also packs a pretty strong CFUs count at 25 billion microorganisms for every capsule. Even if you were to use double this amount in the case of abdominal discomfort, indigestion, irregular bowel movements, etc., the $0.60 cost is still below the average price. All in all, it seems that Probiotic 10 constitutes a pretty good price-ratio deal, as well as a versatile product which can be used either regularly or for specific intestinal ailments. 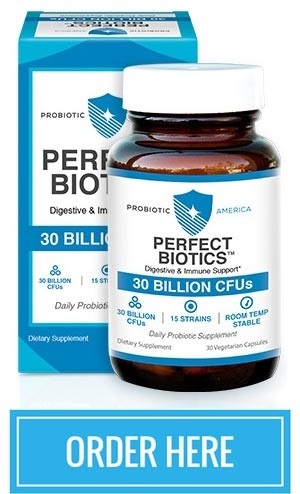 Despite its elevated probiotic count of 25 billion CFUs, Probiotic 10 will not cause you any unwanted side effects during the first days of administration. This is definitely a big plus because the majority of other similar products usually involve bacterial imbalances that lead to visceral cramping and pain. But this is not the case with Probiotic 10, which adapts to the gastrointestinal system fast and efficiently, hence promoting better digestive patterns and immunity control as well. Even so, those with more sensitive stomachs should be careful when administering this product for the first time because, as mentioned above, 25 billion CFUs is a pretty potent number when taking into consideration that a normal person’s probiotic microflora ranges between 1 billion and 100 billion on a day-to-day basis. One major drawback associated with Probiotic 10 is the issue of the manufacturer guarantee, which does not appear either on the supplement packaging or the official website. This lack of customer satisfaction policy takes away from the product’s quality because it implies that the producer does not cater for its potential buyers’ rights and needs. On the other hand, official distributors like Amazon do offer a 30-day return policy, which is, of course, a better offer. It would have been better to have the actual manufacturer guarantee as the basis for this product, but the distributor money-back option is still better than nothing in such cases. Where to Buy NOW Probiotic-10? You can purchase Now Probiotic-10 through official distributors. Be the first to comment on "Now Probiotic-10 Reviews"